Yes, I think I have a stalker. On the 4th of July, the DH and I were attending a family get-together at my BIL’s house in beautiful Foxburg, PA. 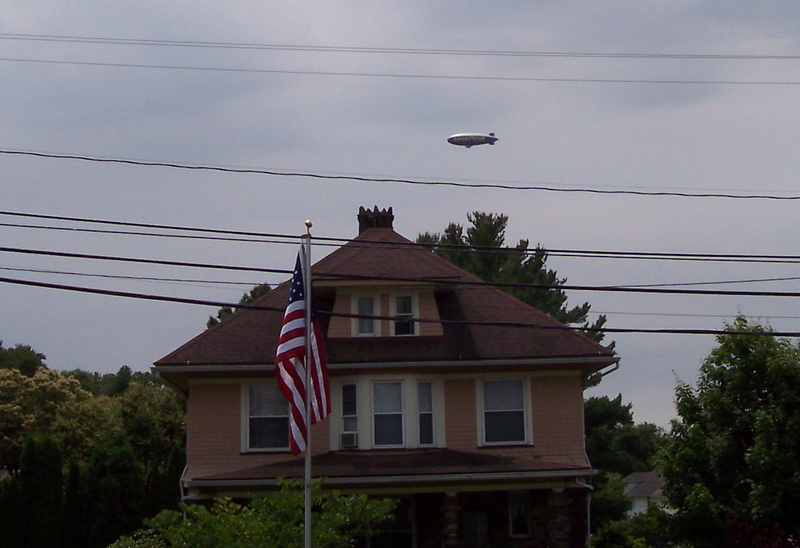 There we all were, sitting on the front porch, minding our own business, when what should appear overhead? 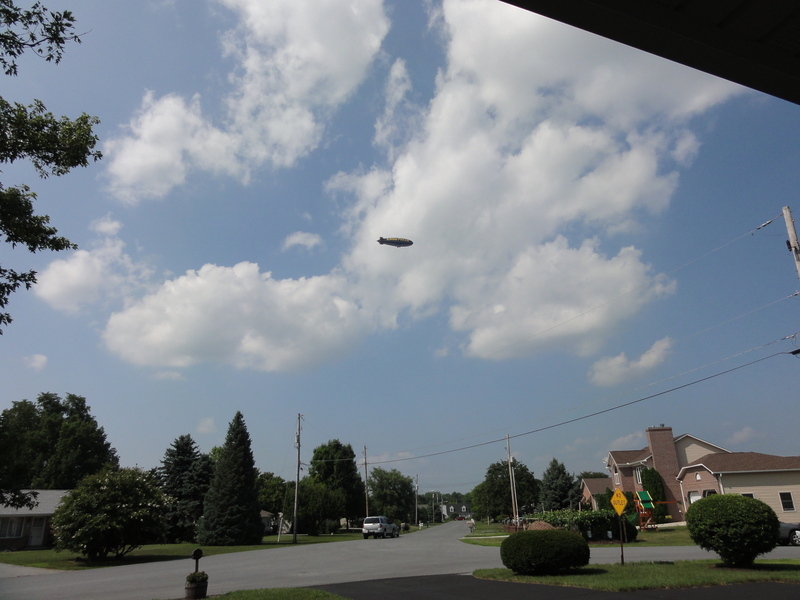 Yes, it’s the Goodyear Blimp! Fast forward to August 8th and shift the scene to beautiful Carlisle, PA. What should appear overhead? You guessed it. 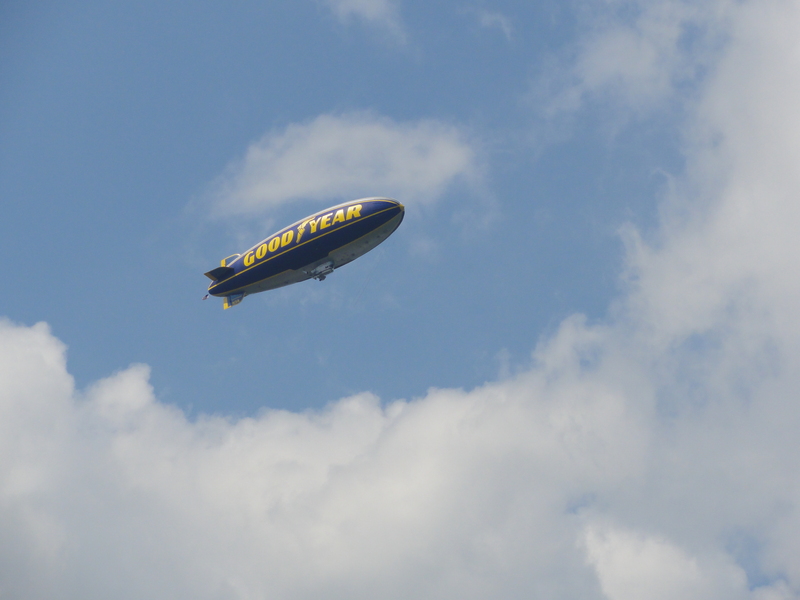 This entry was posted in Uncategorized and tagged Goodyear Blimp. Bookmark the permalink.